This holiday season families will gather together, give thanks for having each other, and wish each other well for the New Year. Except many families separated by adoption. As a culture, we’ve made great progress in traversing divisions of race, class, religion, and geography. Surely, we can cross the adoption boundary, knock down that artificial barrier created by a judge’s signature on a piece of paper, celebrated with a baptism or cemented in a Church of Jesus Christ of Latter-day Saints temple. Let’s bring our families together, natural and adopted, conceptually, if not physically. We at FMF are critical of these mothers, ignoring or oblivious to their children’s pain when they reject them for a second time. Secrets, though, are a two-way street. For ever birth mother cowing in the closet, there’s an adoptee refusing to let her own out. 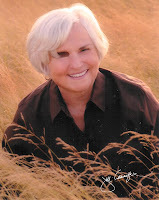 Betty Jean Lifton, the revered author of three books about the adoption experience, wrote of the pernicious effects of secrecy in adoption. Although her relationship with her birth mother whom she found after a long search spanned many years, her birth mother always kept Lifton a secret, never allowing her to meet her half-brother. Lifton never told her adoptive mother of her reunion: “By destroying her myth [that she was Lifton's only mother], I would destroy what was most meaningful in her life,” she wrote in Twice Born, her memoir about her search for her birth family. Adoptee Katie Hern likened her relationship with her birth family to an illicit relationship. She wrote that she felt “like a traitor to my parents, to my adoptive mom in particular. Other adoptees, while acknowledging a relationship with their birth mothers, refuse to bring their two families together. Initially, I did not want to meet Rebecca’s adoptive parents, the French’s. I considered adoptive and birth families natural enemies. Rebecca's adoptive parents were rivals; I fancied myself in a holy struggle for Rebecca’s soul. I wanted her to return to where she belonged, to her real family, and forget those pretenders. Of course I soon dropped these illusions and accepted that I would have to share her, but I still resented these faux parents. After I met birth parents and adoptees at conferences of the American Adoption Congress, I realized that it was possible for birth and adoptive families, not only to meet, but to have a positive relationship. Fellow blogger Lorraine stayed with her daughter Jane's adoptive family numerous times when visiting her daughter, or picking up her granddaughter for a summer visit. They also they visited Lorraine and her husband twice, once staying for the weekend when Jane was not with them. Their relationship might have had some strains, Lorraine said, but communication was always the best option for the two mothers. Another birth mother told me that she always stayed at her daughter’s adoptive mother’s house when visiting. Not only was it convenient but she enjoyed the woman’s company. Other first mothers have left comments here about staying with the adoptive parents. An adoptee told me that her adoptive mother and birth mother became good friends; they even ganged up on her when she considered leaving college, convincing her to finish. And so I offered to meet Rebecca’s adoptive parents, thinking she would be relieved, that it would reduce the tension that must exist. Her response surprised me. “They do not want to meet you.” Over the years, I offered again to meet them and each time the answer was the same: She later wrote that the thought of us getting together was “weird.” Both the French's have passed away so I shall never meet them. I do believe, though, that if I had met them, we may have understood Rebecca a little better and perhaps appreciated each other, not only as contributors to her Rebecca's qualities, but as individuals. I did eventually meet Rebecca's sister by adoption, Susan. It wasn’t weird at all. We spent about a day together along with a friend of Susan’s and Rebecca’s daughter, my granddaughter. Susan and I talked amicably about politics, a common interest, albeit she is a Utah Republican and I, an Oregon Democrat. We visited Portland’s Saturday market (that place is weird) and lunched at a Portland landmark, Dan & Louis Oyster Bar. As we celebrate love and reconciliation, whether it be at Christmas or the feast day of another faith, let families separated by adoption and families created by adoption come together. We have nothing to lose but our pains. "A first/birth mother remembers 'coming out' to her husband-to-be"
"Telling My family about my first child--and then going public"
"A Letter to (Birth) Mothers Who Reject Reunion"
I agree with the theory of this but and this is a big BUT, every adoptee and their family is different. My situation is a perfect example. My amom would gladly welcome my nmom into our lives despite it making her feel insecure. Why? She loves me and my happiness is paramount. Funny my nmom is still too afraid to meet me let alone tell her boys, my nbrothers about me. I know that her rejection isn't about me. I accept that but I would be exercising extreme caution in all this no matter what. My relationship (s) with my first family is none of my adoptive family's business, and vice versa. My first family members are MY relatives, not my a family's relatives, and vice versa. It is what is best for ME. Maintaining separate interactions between myself and my families has nothing do with keeping my first family in the closet. It is about what feels best, right and comfortable for me. My adoptive parents don't gather together with my in-laws. They didn't marry my husband, I did. Same goes for my first family. They are my family, not that of my adoptive parents. No one is being kept in the closet. I have separate and unique relationships with the families in my life. And my interactions with one are not the business of the others. I might be the common denominator, but we are hardly one big happy family as far as I am concerned. And there is no reason why we have to be. I think it should ideally be up to the adoptee whether or not her two families interact. For some it will be fine, for others not. It is too much to ask,if it is not what the adoptee wants or can handle. I do not think it fair for either set of parents to put the adoptee in the middle and make her responsible for all of them, especially not all in one place. That can easily be too much for an adoptee to handle. Like so many other things the adoptee had no control over, this is one that should now be up to her. By the way I am a first mother, not an adoptee. My first parents and my adoptive parents are all adults. They all had a choice in my adoption (adopted after BSE, and my first parents did in fact make an honest to goodness choice together). My adult parents can do what they want in regards to one another. My adoptive father DOES NOT want to meet my first parents. At all. He never will either. He's extremely possessive of me and my adopted sister, and always will be. He hates my first family because he doesn't like the reminder that I have another set of parents out there. He's wrong in this regard, but those are his issues not mine. At the same time, I'm probably not going to rub that in my first parent's faces because it's hurtful. So while they don't understand my adoptive father the way I do (how could they?) there is a very good chance that they won't get that my not wanting them to meet him doesn't have anything to do with them, it has everything to do with him. We aren't one big happy family and we never will be. That's what adoption does, it separates people. My adoptive mother would like to meet my first parents, and she probably will someday. But again, she's an adult. I can't force her into anything because my first parents want to meet her. That's up to her. I find it interesting that the adoptees that have answered all tend to have the same response - and yet different reasons. Logically, it does matter what you do with one person that, even in a small way, affects another person. To maintain separate interactions, as Anon stated, smacks of the secrecy that created the problems in the first place. I am my daughter's dirty little secret.... Interesting. Hmmm. I hope you don't mind but I am linking! I met my daughter at 15 and so there was no way that I was not going to meet and interact with her other family. I can see why adoptees feel as they do because until it became somewhat common, I think my daughter felt somewhat on guard when all the parents were together. How does she act? Is each mother watching her to see of she is favoring one over the other? However, both of us mothers were quite comfortable with the situation. But everyone ought to be honest. If someone doesn't want to meet, okay; but tell the other person who does want to meet the truth. And saying, "I can't handle this right now," is honest. My son and I reunited in April 1993. He asked me to meet his a mom on Christmas. Although, I thought it would not be the best time he wanted me to meet her. His a dad was long gone. I did meet her and all the family at an aunts house. My son and I went to their turf it was hard and uncomfortable. They even put us side by side and said we didn't look alike. He looks like his dad but like my brother too. I tried to be open thinking I could learn so much about my son's growing up years. Even get a picture or two but his adopter started clamping down and trying to keep him in check by loyalties etc. Didn't work my son wanted to know me and told her you know your mom. I am sure that hurt but she said some terrible things to him. I then decided that I didn't need her on my life my son and I are adults. Best thing we ever did regarding our reunion as she wanted to dictate to us and even tried taking his visits with his daughter because ex felt sorry for her. My son stepped up and told them both its his visits and his visits were not dictated by either of them. I hear what you are saying Lori. But have you ever considered that for some of us adoptees, it might actually be the other way around? I choose to keep my interactions separate because of my adoptive parents. They are the challenging issue in my life. Not my first family. Why is it assumed that I am somehow slighting my first family or treating them as a dirty little secret because I choose not to have them get together with my adoptive family and me in the same place on a holiday? Seriously, I wouldn't put my first family through that ordeal. It's bad enough that I have to put up with my adoptive parents and their possessiveness and insecurities. As such, I don't really see a correlation between my circumstances and a first parent keeping their child a secret. My parents are all aware of each other. I'm not hiding from anyone that the others exist. I'm simply managing my adult life and relationships in a way that works for me. And my circumstances might not be what some might assume them to be. Reading between the lines what I am hearing from the first mothers is that if they are not allowed to interact with or even meet the adoptive parents then they feel like they are once again being made to sit at the back of the bus. As an adoptee, I have to agree with Linda and Julie. My first mother never had any desire to meet my APs and my APs never had any desire to meet my n-mother. My a-mom because she was threatened and my a-dad just never seemed interested. Although he did think it was good for me that I found her. He had grown up in a wonderful family with very loving parents and I think he had some inkling of how hard being adopted would be. I never hid the fact that I had found my families or that I had a relationship with them. I think the last sentence of this post is unrealistic. Given how much jealousy and insecurities most people have I think it is unrealistic to think we could all become one big happy family. And given how difficult so many first parent/child reunions are, adding the adoptive parents to the mix just sounds like too much. You are incorrect, Lori. None of my family is a secret. I keep them separated because I don't want to put up with the guilt trips from any of them- like the "dirty little secret" comment you made. Ive heard that one before, so have many other adoptees. My reunion isn't about my a p's & my f p's, it is about ME and my first parents & family members. Why WOULD an fp feel the need to interact with their relinquished (now adult) child's adopted parents? What do you want, a "pat on the back"? A "thank you"? Because that makes the adoptee (in most cases) feel like chattel once again. It's just not necessary for everyone to be one big happy family. Because it won't be anyway. My son dreamed that we would all be one happy family. I met his amom, had lunch at her house, the home where he grew up. All was cordial until I was leaving. Her parting words were "now you can go back to your life." And she meant every blessed word. And so the saga continues. I feel awful that he is subject to his afamily's emotional abuse. Not always a pleasant story but somehow we are making it through reunion. My mother is off in her own world, and that's the way she apparently wants it. My a-mom has been gone for 30 years. My two dads, however, have met. They have both attended family events: birthdays, graduations, etc. I guess it went okay. I wouldn't exactly say we were all just one big, happy family, but everyone always managed to smile and make nice. I've never even considered asking everyone to get together for Christmas. Eh, no. But I've never excluded anyone from a milestone event, either, except for the time I got married on another continent. I didn't invite anyone to that. I met my natural parents when my kids were in diapers. They grew up with both of my fathers as their grandfather. That's always been their reality. I wouldn't even know who to uninvite from a high school graduation. Not everyone has shown up at every event, and that's fine. Sometimes, everyone did attend, and that's fine, too. It's not my job to facilitate a relationship between my natural and adoptive families. It's not my job to play referee, either. I expect them all to behave as adults. If they can't, they should stay home. I've never tried to tell any of them what to do or not to do. My natural dad is gone now, so unless my mother has a change of heart, this is all past-tense for me, anyway. Wow, Angelle, that is awful, and I am sorry his ap's behaved that way. This is EXACTLY the scenario many adoptees I know have been through, and exactly why I don't have my families "mix". I think as a child, I had fantasies of everyone being one big happy family, but I quickly learned it wouldn't be possible. I advise any adoptee who asks to not bring the 2 families together until their reunion is on very solid ground. It's about us and our f families. For any parent (fp or ap) to insist the families get together is insulting. We are adults, and do not need our parents approval for any of our relationships. Okay, just for those that think I was putting down the adoptees, I wasn't. I was simply stating that it seemed to me - at the time of the comment - that the adoptees that did answer were saying pretty much the same thing, in different ways. As far as comparing my comment about being my daughter's dirty little secret with others, not realistic, thank you. I know that my situation is far different than most. As for a "pat on the back" - no, I have no desire to have that. I simply believe that if you keep something that big a secret, you create more issues than necessary. Please, don't think that I believe that I need a thank you! OMG - I don't. I just don't like the pressure it puts on my daughter to go around pretending! I don't even want to know them - beyond what I already do. And I get the need to not interact, but geez, to pretend you aren't doing something you are? Can that even be healthy? I think that there is something to be said about this. I do believe that there should be some acknowledgement, the way one would acknowledge a cousin or a distant aunt. We are all family, right? I don't know that I could do a big sit down dinner with the adoptive family and mine, but stranger things have happened. Considering I am very much an adult and don't need the anxiety of trying to form a bond between the the two families I will decide what works for me in this type of a situation. I personally would not allow anyone in my afamily treat my first family badly and i sure as heck would not allow my first families throw digs about my afamily. Funny thing in my case, neither one of my mothers felt the need to throw the other down. My amom was actually kind of protective of my nmom...to a point...and my nmom had nothing but good things to say about my amom. The older i get the more i reaize how lucky i am to have had both mothers try to protect my feelings. I am sure they held some sort of opinions about each other but i never heard them. They never met...and the thought of it makes me break out in a sweat! They have both died so it will never happen. My dad did meet my nmother and it went fine! They both got on well. I see it as an open adoption situaion where both mothers need to be fully secure with themselves in order for their adult child not to be hurt. Not sure how realistic that is. I think it can happen and when it does its wonderful. I know of 2 situaions off the top of my head where that has happeded and really how validating is that for the person who has been adopted. I have to admit I'm surprised how strongly some of our adoptee readers reacted to this post. Of course no one can make anyone be friends with someone. I'm suggesting that both adoptive and birth parents make an effort to meet. I would not expect adoptees to do this all on their own nor be responsible for how the meeting turns out. Once adoptive and birth parents meet, I'd think they would be civil, if not cordial. If they're comfortable, they can get to know each other. I believe that meeting Rebecca's adoptive parents would have improved my relationship with her. I'll admit--even after the many times I met them--when being with the adoptive parents was scary--especially if I was alone on their turf. The fact that my two brothers, their wives and two of their children came to my daughter's wedding, along with my husband, sure made that event a whole lot easier. There was no question where we were going to sit--the seating was find-your-own, and the eight of us made up our own table. Yes, it was at the edge, but that was totally fine. From the comments here, what I read is that everyone's relationships and how they handle them are different, and everyone should act accordingly with civility. It seems obvious to say that lying only muddies the water, but I'll say it anyway. Some of the comments directed at natural mothers by adoptive mothers seem quite cruel, and give the sense that they had absolutely no compunction saying whatever they felt like to the natural mother, no matter how it hurt. The world is made up of all kinds of people. "And I get the need to not interact, but geez, to pretend you aren't doing something you are? Can that even be healthy?" No, it isn't healthy, but as adoptees, we are used to pretending. It takes a while for an adoptee to finally stand up and tell their families that this is the way it is, and my relationships are none of your business. It sounds harsh, but it is better than listening to the guilt they try to lay on us. I don't see how meeting an adoptees adoptive parents could help the relationship between a first Mother and adoptee. It just adds another layer of stuff the adoptee has to deal with, and quite frankly, we've dealt with enough. In another situaion what you say may work, but in an adoption situation there is too much at stake. To much hurt experianced in different ways from all the people involved and too much "past history" and emotional pain for it to work well. Everyone is vying for control of mommyhood and expecting "their" child to validate their postion in order to heal that pain. Thats why...in my opinion...there is such a visceral response from some of us adoptees....we are screaming...PLEASE DON"T PUT ME IN THAT POSITION..it hurts to much and brings to the surface how the adoption really was not about us at all....scary stuff. I know my son was quite surprised by the response his amom had to our reunion. He says she was very supportive of helping him, that is until he found me. There is another horrid comment I received. My son in my only child. (I lost later children in stillbirth, which amon knew.) When sharing with me some issues my son had growing up she said "now don't take this the wrong way, but you wouldn't know about that because you didn't raise a child." And yet she is his ever sainted mother, a pillar in her church and so forth. I haven't shared these tidbits with my son. I like to think it is because I am polite, and not because I am subservient. I questioned writing about this at all but it is the truth and perhaps others have similar experiences and will benefit in knowing they are not alone. Ok, so reading this is very intense. I am having a multi family gathering at my house on in a few weeks. Attending will be (all confirmed, but not sure who will really show up) Mom & Dad, dad's second wife (now divorced, 4 years younger than me) My a mom (age 82, lives with us) My mother's son (1/2 bro age 44) his wife and son(age 2). My father's 2 children (1/2 bro age 16, half sis age 23) Me (age 49, reunited 1 year), my husband and our 4 children, ages 14-25. My mom's 1/2 sister (4 years older than me). maybe another of mom's 1/2 sisters and her son and 2 grandchildren. So what are our chances? Wow! That will be quite a gathering, Michele. My first mother has made it clear that she has no desire to ever meet my adoptive mother. My adoptive mother s actually hurt by this. Every situation really is different. "I have to admit I'm surprised how strongly some of our adoptee readers reacted to this post. I believe that meeting Rebecca's adoptive parents would have improved my relationship with her." To me though, when you said this "For ever birth mother cowing in the closet, there’s an adoptee refusing to let her own out. ", you are making out that is our fault that the parents aren't meeting, whereas the adoptee may just know what both parties can handle. Have you ever thought that, in fact, the adoptee is trying to protect you from their adoptive family? I think my APs would have handled meeting my first mother but my brother has never had any wish for his first mother to meet our mum. However, he is not doing this because he is ashamed of his first mother, in fact he calls her mum and our amom by her first name (he does have an issue with her related to something else), but because he doesn't feel he can handle it. My extended bfamily and afamily haven't yet met - I don't plan on pushing it but it will probably happen one day. However, my bfamily is MY family, they aren't my afamily's family so if it happens, it has to happen naturally. It is different to not meeting bsiblings because bsiblings are our blood. Afamily and nfamily are no relation to each other. All my parents did meet. The experiences were horrible for me. I have freaked out before just because I have had two instances where they have visited back to back. It just destroys my equilibrium. I have gotten remarks that made me sting about my child's resemblance of me, much less my natural parents. Silly me. I thought, just perhaps, that my child's adopters would be welcoming to an occasional sight of the mother who lost while they gained after I found MY child. After all, we met and spent time together before my child was born, they went to doctors visits with me, they courted me via taking me out to lunche and dinner and the like. They even promised, yes PROMISED, that they would stay in touch throughout my child's life with updates, pictures, videotapes and even visits. That only lasted few years, but hey, they would be 'civil' to me when I found my child and even invite me to my child's graduation, right? WRONG. Adopters don't want you. They want your infant. The possessiveness and jealousy will win out every time. No one is really keeping anyone in the closet. I allowed my mother to keep me as her dirty little secret for the first 12 years of our reunion. Last year, I contacted my half-sister and took myself out of the closet. As an adult, my mother does not control my actions. But I did have to accept that she would probably never send me another annual holiday card referencing the weather (our only contact) if I took matters into my own hands and revealed her secret. In this sense, I can make the leap to what was said in the post. But if the analogy is going to made, take it all the way. No one is stopping adoptive parents and first parents from meeting each other. If you want to meet your son or daughter's adoptive parents, you can always take matters into your own hands. Just be prepared to accept the consequences. It is my feeling that the analogy does diverge, however, when it comes to purpose. My mother still wants nothing to do with me. But I now have a relationship with my sister. Who is my family. My sibling. Connecting with her provides me with a sense of identity and of where I came from. We were born of the same mother and share personality traits, interests, and talents. She is providing me with what our mother won't. Because of my sister, I now feel connected to a certain part of myself. I just don't see how first parents meeting adoptive parents offers a similar purpose. But again, it's not like one adult can really stop another adult from contacting someone. I haven't met the adoptive parents (other than catching the a-father spying on me outside my house one day early in reunion). My son kept saying "my parents really want to meet you" which led me to believe that they were pushing the idea but he was not really on board. I said I didn't think it was the right time but what did he think about the situation? He never answered the question and seemed relieved to let it drop. My reasons for not wanting to meet them at that point were varied. First, it was just too early and my emotions were so raw I could in no way envision my making it through a dinner. Second, I didn't want my son to be uncomfortable or feel like he had to be some sort of facilitator for ANYONE so I could not see putting him in that position. He told me a few things about his a-mother's personality that led me to conclude that we are VERY different types of women. This could have been quite stressful for all, but especially my son. Third, at the time I didn't have a man to be my blocker - I know this is quite un-feminist of me to say, but people treat you differently when you are with a man than when you are alone - they are less likely to be aggressively rude or make inappropriate comments/questions when a big guy is at the table with you. That's just been my experience, feminism aside. I just couldn't see myself sitting there alone feeling like an inquisition (or execution?) was about to occur. The issue has not come up again but if it does I will keep an open mind as I continue to evolve is this reunion experience. Julie: Thanks for your sharing your experience, could I ask you a favor when you comment again? Please click the Name button, you did not need a url to use that, unless you have one and want to include it. Just your name "Julie" will show up and that makes it easier for everyone to follow the thread of who is talking at a glance. Including us. Maybe: It was not "unfeminist" to say that women are treated differently when they are with a man--we are! Unless we are a celebrity of some sort, women generally get more respect (especially from the salt-of-the-earth types who adopted) if we have a male partner standing next to us, validating our right to be treated with respect. Just by their presence, a male partner conveys a wordless protection that helps others hold their tongues. (I doubt a lesbian partner could do the same dealing with a straight [adoptive] couple.) It's not only true in the situation we are talking about--meetings of birth and adoptive families--but sadly, true in life. I freely admit that I have been fortunate to have my husband around sometimes when I have been with the adoptive parents. Her father can relate to him (and he was less threatened by my presence), and it just makes it easier to share the experience of feeling that I am on trial--because that never really left. I think part of it was that I was a lapsed Catholic living in New York--and that is always suspect to a lot of people not from one of the coasts. I did not go to my daughter's high school graduation because I could not face her entire family, on their turf, a thousand miles plus away from my home, alone. We could not afford to have both of us attend. I totally freaked out about going (I was invited) and was losing sleep and going into high anxiety gear, and so I said I could not come. My daughter did not hold it against me. Well I am certainly feeling like the odd man out in this discussion. I have spent time at my daughters adopted mothers home on several occasions. Our first meeting was at her invitation. I have returned on a few more occasions and have been there on my own when my daughter wasn't visiting. We get along very well and our daughter is very happy for the relationship we all have. My raised daughter has visited with me there and adopted Mom has been to a family gathering at my nephews house as well. Maybe it has something to do with the fact that her adopted mother is also adopted. She encouraged all three of her adopted children to find their natural families. Only her son refuses and says he has no interest. But she still encourages him. I am sure that it also has alot to do with the fact that we all pretty much share the sames ideas about religion and politics. My daughter was not adopted into a well to do family. 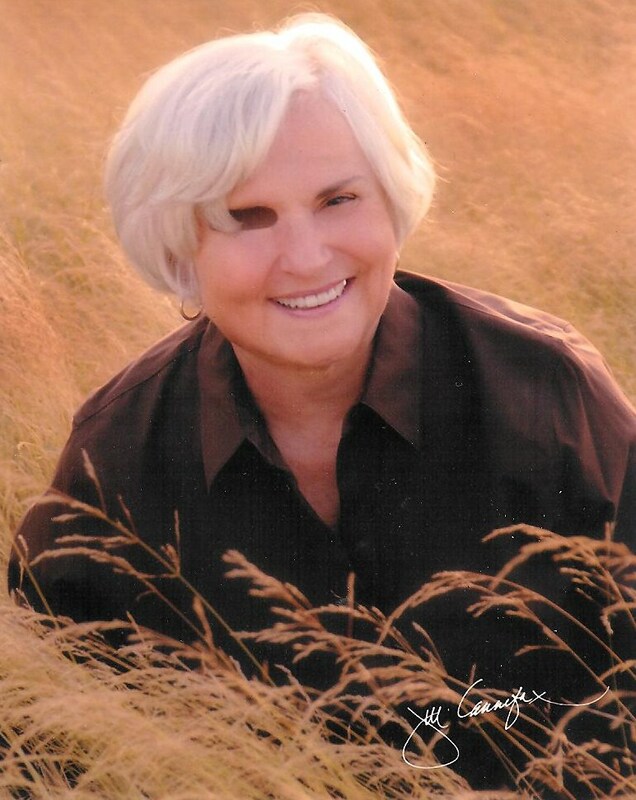 She was raised in a rural area in the Midwest and learned the value of money as well as life. Her adopted family was and still is big on volunteer work and sharing what they have. I share most of those same values and believe that is why we have a good relationship. Having said all that, of course it has it's awkward moments. But I have many more moments like that with my own natural family. Though I must say my reltionship with my own family has improved since my reunion with my daughter. I think they as well are glad the silence is over. All relationships take effort and knowing when to bend if they are to survive. We (Daughter,Grandaughter, Adopted Mom, myself and and families) are all of the mindset that we are going to make this work. When my reunion began 12 years ago, my son informed me I was NOT to meet his adoptive mom. As the years have gone by, the frequency of communication from him has become less and less. I do wonder if his absolute insistence of no interaction between me and the adoptive mom hasn't contributed to that. It has to be so difficult to compartmentalize his busy life so something had to give. I was the one pushed further away. @ Michele - after reading your post it makes me realize how so much more complicated modern families really are (probably they always were, but now it is just more out in the open). A friend recently attended a wedding where there were many 1/2 sibs, step-parents, ex-husbands/wives, adulterers (!) etc. Complicated but workable if everyone is willing to put their personal stuff aside for a while. @ anon 6:38 am- I know, right? My ap's got what they wanted- a baby. They have no use for her. I have listened to them call my first mother "THAT woman" for years, and now they call my n siblings "THOSE people". I finally told them "THAT woman and THOSE people are my family and if you cannot refer to them by their names, don't refer to them at all." I think the bottom line is that it really needs to be up to the adoptee and what they are comfortable with- but I have yet to see a situation where it is all one big happy pile of people, except for Janet, who has posted in this thread. I am happy for her daughter, but agree that it may be somewhat easier since the adopter was an adoptee. As Julie said, there really is no reason for it. I have many relationships that are separate from other relationships, for reasons less stressful than adoption. "I have many relationships that are separate from other relationships, for reasons less stressful than adoption." For all that "tis the season to be jolly", let's not get carried away, shall we? Don't assume your son is in constant communication with his adoptive mother. Lots of sons are not in frequent communication with their families, whether there is an adoption in the picture or not. We always imagine the other situation is wonderful (and ours not-so-hot)but that may not be the case at all. I know one adoptee who did not want to search in the 80s when the infamous Searcher was finding whomever he set out to find, and so the adoptee turned down my offer of a referral. Fifteen years later wanted to know if I could still put him in touch...well, no, I couldn't. In the 80s, my offer was seen as quite invasive to his adoptive parents--they were relieved that he did need to know. As far as I know, he has been unable to find his birth mother, and he rarely is in touch with his adoptive parents. He had moved several states away in his late teens. Such is life. If only this could happen, that everyone who loves and is committed to a child, (grown or not) could set aside their fears and differences and rally for the child who is both of theirs. If only aparents could see bparents as humans, the first family who mourns the loss of their child, show them a little respect, not just the condescending "you gave us the ultimate gift." This is not a Christmas present. It took our souls and hearts. Something we have to suffer with forever. When they want to seek out their history, their roots, why they are not with their family of origin, let them find the truth. Support them in this. It is unlikely that they will desert you once they find their birth family. In fact, they will likely appreciate you more, if you have provided them with a loving, stable environment. Reunion is a rough road. It doesn't always turn out for the best. But it is so necessary, for all parties. We need to know (mothers, fathers and adoptees) in order to move on. I only met my son's adoptive parents once. His father came with me. My son's afather's opening was: "Someone in my family gave a child up for adoption. She's had so many abortions that she figured she'd better have this one." His amom asked me if my father was a thief because my son was a thief. Rather bizarrely they went on to be quite friendly to my son's father inviting him for dinner etc. for a while. I really think as a father he was perceived as less of a threat. They told my son they were just fine with me being in the picture. I don't think it's true. They promised to share some photographs but never did. I think it is hard for some AP's to get their heads around the truth of who their kid's parents really are. My son predicted that when we met, the AP's would do nothing but complain about him because they did that everywhere. He was right. As his father and I walked back to our cars he said to me "He hasn't had it easy with those two." I have maintained a separate relationship with my two families for many of the same reasons already mentioned by other adoptees. My adad finally met my nmum on my son's 3rd birthday, nearly 11 years after my reunion with her. I was happy for them to meet and it went very well, but that is because my adad is a lovely person who understands how important the reunion journey has been for me. My aparents are long divorced, and the only encounter my amum has had with any of my nfamily was a very brief, very awkward moment in the hospital when my son was born. My amum did not stay for introductions, just said something about there being a strong resemblance, and then bolted. I don't know if she will ever be ready to meet my nmum and nfamily properly. She is so completely threatened by my relationship with them, she says my nmum's name like it is a dirty word. I have kept them separate because they do not belong together, I belong with both of them, separately. In a perfect world, we would all be together for family gatherings, but my amum is far too much of a narcissist for that. Lucky for me my nmum doesn't make me feel even remotely guilty about that. She is happy having a relationship with me, her daughter, and doesn't feel the need to force herself into the family that raised me because she knows that it would just cause problems for me. As an adoptee this sounds like a scenario that could potentially turn into the parents having all the control, the adoptee is powerless and yet he or she is responsible for seeing that everyone's emotional needs are met. I don't think meeting the APs who were involved in the coercion that separated us for so long would be healthy for me. Their actions were beyond hurtful. They went along with changing her birth date to conceal her location. I took a long time and hours of counseling to deal with the fall out. I hated hurting her when I told her the truth. I have been very lucky with my sons' adoptive family. We started out with a closed adoption, and it opened when they were 9 & 11. 14 years later, we really are one big happy family (adoptive and natural). We have dinners together (I was just at their house for my granddaughter's 1st birthday dinner). It has never felt like a competition with my sons' parents. It has rarely been awkward. I know when I need to give them space (when my granddaughter was born, I went to see them the next day, figuring his parents would want to spend the first day with them). It can be done...it just takes work. This thread has been really illuminating. As a first mother, I thought the reason my son didn't invite me to my grandson's first birthday party was because, ultimately, despite the affection between us, I wasn't really that important to him (to my son, I mean). I thought that perhaps I was interesting to him, in terms of his origins, but in the big familial scheme of things, that I was a minor part of his family, on the outer edge, dispensible, especially if my presence caused conflict with his (hostile and contemptuous) afamily. It's also been very heartwarming to hear the stories of the different families mingling, but I suspect that reunions very much reflect the individual characters within them: the generous people will be generous in reunion, the self-absorbed will be self-absorbed etc.